Hondas have always been great vehicles, but even great vehicles can suffer dents and dings. This usually isn’t even your fault – maybe somebody opened a door a little too far, or a small rock fell off of a truck while you were on the highway. Whatever the cause of the dent, Paintless Dent Removal (PDR) is a fast, affordable, and effective way of fixing it. Why Use PDR Instead Of Going To A Repair Shop? Repair shops are good at what they do, but most of them are slow and expensive – and focused on collision services. Do you want to be without your car for a few days so that you can get a small dent or two fixed? We didn’t think so. At EZ Dent, serving Athens and Metro Atlanta, we use a special process that fixes dents in your Honda without disturbing the original paint job. There are no odd chemicals, no bonding agents, and no new coats of paint that might not quite match the rest of your vehicle. Instead, we gently massage the metal from behind to get it back into place. 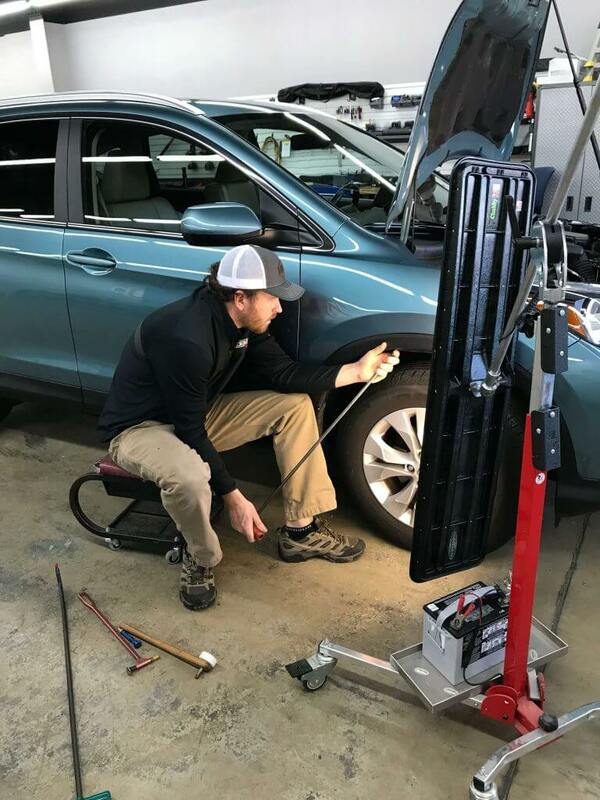 PDR is the same technique that many dealerships use on their vehicles. Dealerships go for the best technique, and so do we. How Do I Get My Honda Fixed? Come to our shop in West Athens! We have a comfortable, versatile waiting area with fast WiFi. We know our processes and can offer firm estimates. Even better, our technicians can complete most repair jobs in an hour or less. This allows us to offer competitively low pricing, and certainly less than you’d pay for any body shop. Paintless Dent Removal is the right technique at the right price. *Disclaimer – EZ Dent is not affiliated with Honda or authorized Honda dealerships. For more information about our service, or to schedule a repair for your Honda, contact EZ Dent today.